There are less than 2 weeks to go until the world’s largest youth marketing festival returns to The Old Truman Brewery! This April, the Freshers Festival team will be exhibiting in Zone T5 at stand 96. In honour of our stand position in T5 we bring you our Top 5 moments to look forward to at YMS19 LDN. Voxburner will be launching their biggest annual research piece, the Youth Trends Report which is a 40-page guide to the emerging trends that are impacting the lives of young people today. It features the results of their survey which asked 1500 16-24 year olds from the UK a number of questions, plus the insights of a selection of expert and youth contributors from the Voxburner community. Every attendee will receive a complimentary copy of the Youth Trends Report on arrival at YMS, so make sure you register today! YMS19 LDN promises to be the place where attendees can discover the latest trends, youth perspectives and brand case studies. Their agenda is jam-packed with inspiring speakers and experts. One particular talk that we are looking forward to is by Ricky Oscroft from Global – The Media and Entertainment Group where he discusses how brands can use the festival space to have a dialogue with Gen Z about what they chose to feature on their social feed and in their conversations; what essentially – matters. Nearly 50% of 16-24 year olds have attended a live music event in the last 12 months – many engaging with brands across festival sites and venues. Brands, led by Marketing Directors with an average age of 42. Ricky asks, in an age where Generation Z is significantly different now than any other youth tribe before them, do we really know what’s going on in the heads of today’s young people? If this floats your boat, catch Ricky on stage at YMS19 LDN on Tuesday 16th April from 4:15pm. 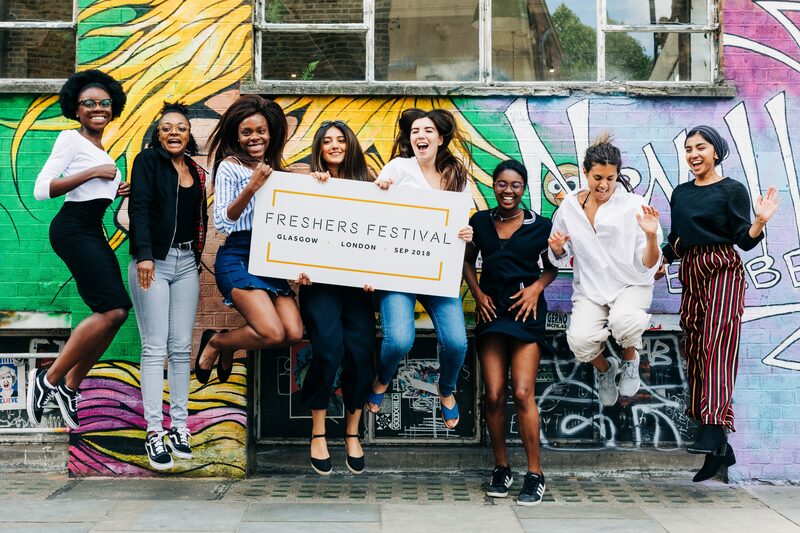 We have a passion for all things related to Higher Education here at the Freshers Festival Group and not just because we host the UK’s largest student events. We have also been working closely with the Expede Group to launch YADA Campus, a self-service management and social collaboration platform that is designed to engage students, empower teachers and assist universities. When we saw that Ireneusz Klimczak from GetResponse will be discussing how adding marketing automation to the mix can help Universities meet their marketing department’s goals we knew that we had to add it to the diary. Catch Ireneusz on Tuesday 16th from 12.40pm at The Higher Education Marketing Stream hosted by SMRS. We love a good party and opportunity to let our hair down – luckily YMS19 LDN are on hand to help! There will be a networking event hosted at the fabulous Juju’s Bar & Stage opposite the Truman Brewery on Tuesday 16th from 6-8pm. This will allow the delegates to mingle and chat about what they are looking forward to most on the next day’s agenda. If you are looking for an afterparty on the 17th, Juju’s will be hosting their Brazilian Nights with cocktail deals, live music, dancing and more! Join us for fun, games at competitions at our stand in Zone T5! We will be revealing our Secret Garden Tour that will be taking us across the UK this September and demonstrating our vending machines that will be appearing in Campuses from London to Glasgow. We will also be fully equipped with our edible bubble guns, so POP by to stand 96 for a little bit of fun! If you are attending YMS19 LDN and would like to book a meeting with us to find out more, then please do not hesitate to get in touch with Graeme Barratt at [email protected]. You can also find out more about the Freshers Festival at www.freshersfestival.com.